From the problem of unemployment caused by retrenchment to underemployment where people have not been able to access the workforce, the latest discussion has been on the topic of employability—are individuals good enough to be considered for a job? In the West alone, hundreds of millions of working-age individuals are left out of the workforce. Many more in the other parts of the world with even higher numbers of people without a job. The large economies (both developed and fast-developing) make up the bulk of these numbers and their youths needs to be equipped with digital skills or retrained for the digital economy. GovInsider daily briefing news, “How AI Will Transform Taiwan’s Economy” dated 10 April 2018 in the AI Taiwan website [downloaded on 10 April 2018] (Taiwan: Government of Taiwan). Available at https://ai.taiwan.gov.tw/news/how-ai-will-transform-taiwans-economy/. Grote, Gudela, “The Digital Workplace: New Technologies, Same Old Story?” dated 2 February 2018 in the Eidgenössische Technische Hochschule (ETH) Zürich website [downloaded on 2 February 2018]. Available at https://www.ethz.ch/en/news-and-events/eth-news/news/2018/02/grote-digital-workplace.html. 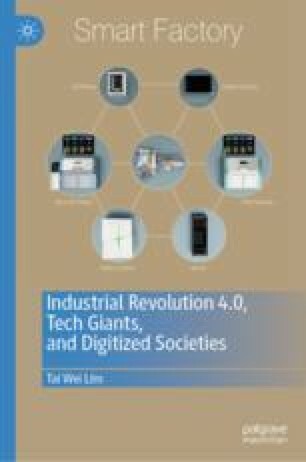 Robertson, Jennifer, “Digital Revolution Demands Changes to Education” dated 6 March 2018 in Forbes.com [downloaded on 6 March 2018]. Available at https://www.forbes.com/sites/gradsoflife/2018/03/06/digital-revolution-demands-changes-to-education/#1cfdf53e522a.